Built with the latest WordPress technology, along with user’s experience in mind, Hermosa includes the most powerful features that unlike any other: Super Flexible and Responsive Class Schedule, MINDBODY Compatible – powered by HealCode, Pricing Table, Responsive and Retina Ready, 5 Custom Post Types (Classes, Events, Trainers, Gallery, Testimonial), Custom Widgets and Sidebars, Live Theme Customizer, Premium Plugins Built-in (WooCommerce, Slider Revolution, Visual Composer, MailChimp for WP, WPML) and so on. Inspired by the Yoga spirit, Hermosa is designed sophisticatedly with 2 gorgeous homepages that fit well in any kind of Fitness, Spa and Health – Beauty center website, aside from Yoga website. Its mission is to help you show the world the incredible life-changing things that happen when you root an intensely physical workout in the mindfulness of yoga. Now please check out its features in detail below! With users’ behavior focus, every page is designed to look great and stunning on all devices including laptops, tablets and mobile phones. Hermosa is the only theme available on ThemeForest that has super flexible class schedule (Noo Timetable Included which saves you $14). All classes will be shown visually in both weekly and monthly timetable and filtered by category as well. Especially, classes will be displayed in a very flexible way: classes with the same date and time will still be shown beautifully on the schedule. MINDBODY is the most popular app to help users sign up for wellness services in their local communities. With MINDBODY integrated – powered by HealCode, Hermosa makes it easy for you to get content and redirect users to check out on MINDBODY page. Hermosa allows you to create as many membership packages as you want. We provide a variety of custom widgets to make it easier. Just drag and drop custom widgets to activate and configure in any sidebars you build. Easily creating your own custom sidebars without touching any code. Simply set the different sidebars to perfectly match to each page. Easily create and maintain your online shop with WooCommerce integration. Enhance the look, and feel of your website by customizing the default color scheme. The demo data file can be imported with just a single click. Hermosa supports right to left languages and repositions elements when necessary. 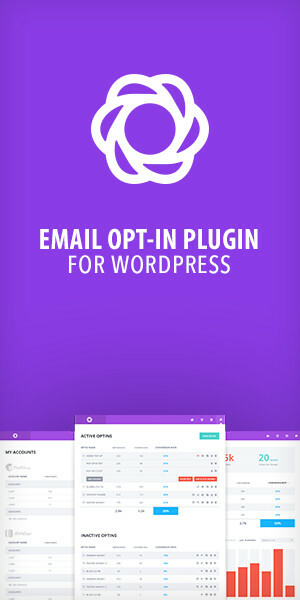 No more wasting your time updating theme and plugins manually. The theme can be easily updated automatically with just one click. Save you $18 for the beautiful Slider plugin. Integrated within the theme, it will help you to build sliders with multiple animation choices and intuitive interface. Hermosa includes PSD version. You will undoubtedly get PSD files when purchasing Hermosa – totally save $12 for your own use. Hermosa is a fully localized theme which makes translation to multiple languages very easy. WPML compatible. Flexible colosr to pick for your theme. Most of elements’ color can be changed easily in our Live Theme Customizer. Choose between a bunch of fonts, all available at Google Web Fonts. We included in theme package dedicated document file to guide you step by step installing and customizing the theme. You also can find the detailed online guide on our support center here. We keep updating the theme regularly with more addon features and minor bug fixed. Just one time payment, you will get the update lifetime for free. In addition to dedicated documentation, the senior developers of Hermosa will support you. We are happy to support you to build your amazing website. - [UPDATE] update latest version for purchase plugin. - [FIX] Layout for archive classes page. - [FIX] Class, event layout by options in settings. - [FIX] Other minor improvement and bug fixed. - [UPDATE] Update Noo Timetable to version 2.0 with new features. - [ADD] Add Top bar. - [ADD] Add option to change the footer map for specific pages. - [UPDATE] Update Noo Timetable to version 1.2.0 with new features and bugs fixed. - [FIX] Fix bug of showing blank sidebar when select fullwidth for event page. - [FIX] Fix error message when missing event date and time info. - [FIX] Fix error can't change heading image of Events page. - [FIX] Improve datetimepicker library ( for Contact Form shortcode ). - [FIX] Fix an issue with WooCommerce cart. - [FIX] Fix some responsive styling issue. - [FIX] Other minor bugs fixed. - [ADD] Add the Timetable plugin, require using this plugin from this version. - [ADD] Add option to show event Filter on the Customizer. - [ADD] Add option to show Address on the Find Event shortcode. - [FIX] Fix some issue on IE browser. - [FIX] Small bugs fixed.